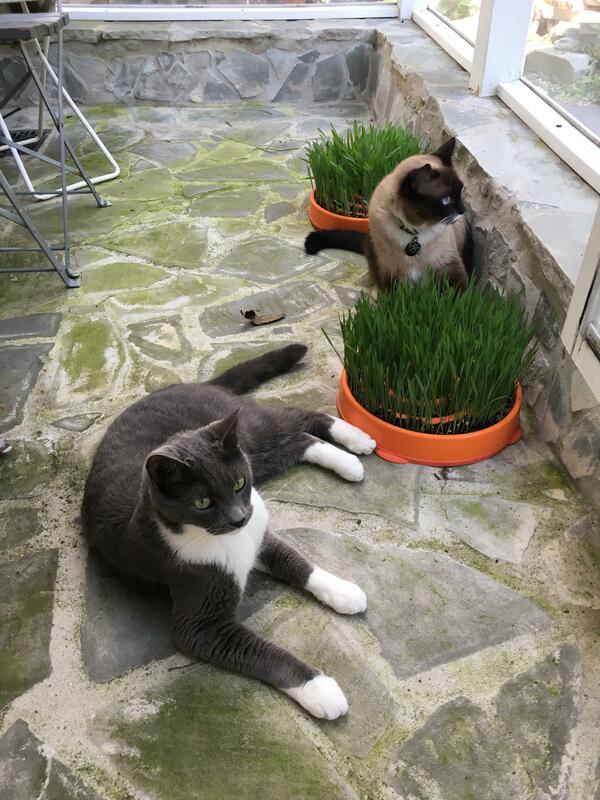 Here Willow and Soren are enjoying their cat grass planters. 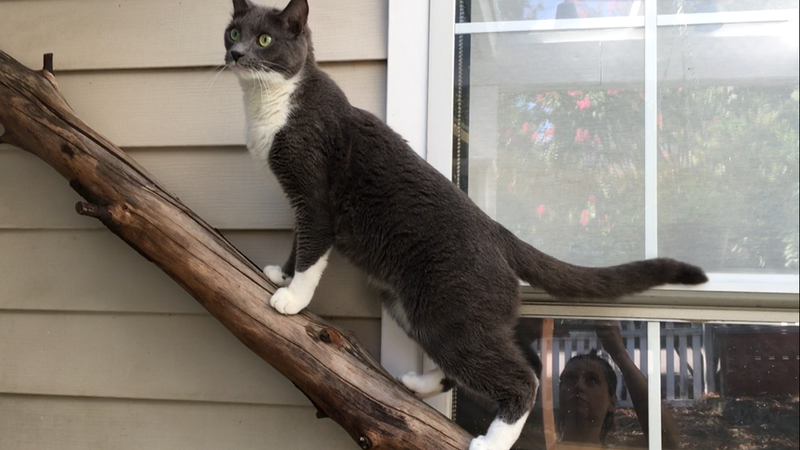 Finding outlets for safe outdoor exploration for cats has become an increasingly popular goal for many cat parents. 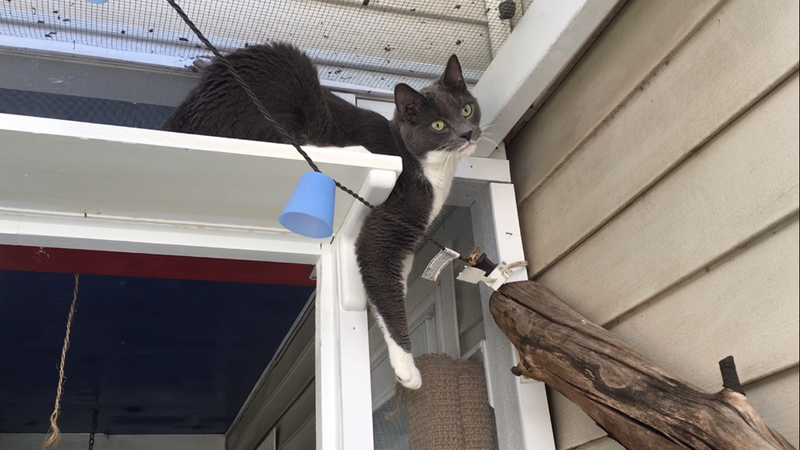 The typical ways of doing so include screened porches, leash and harness walks, outdoor enclosures and even the occasional use of a cat stroller. 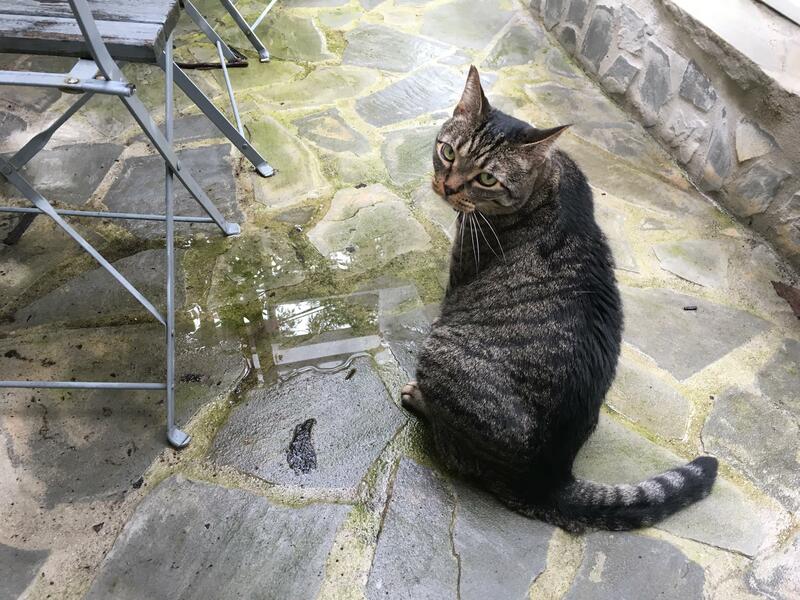 But the concept of “catios,” or patios designed for cats, are all the rage now. 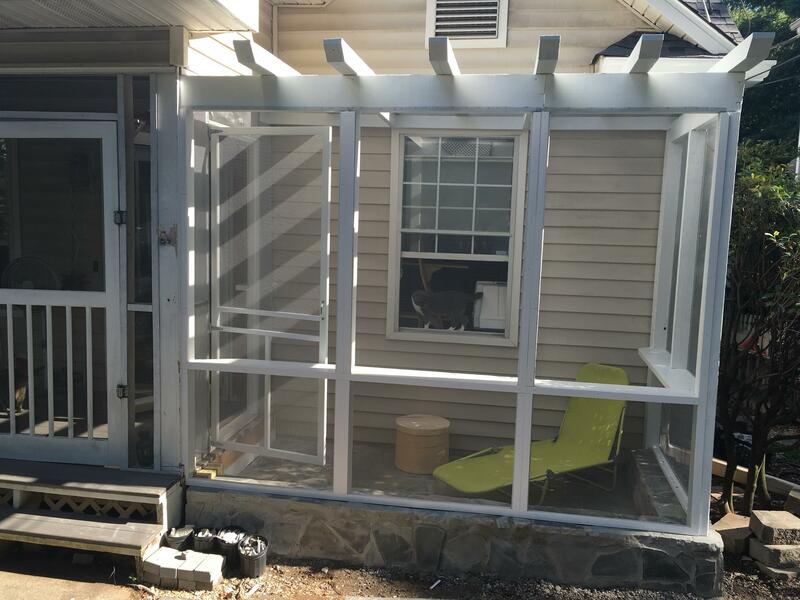 The difference between a catio and just an enclosure for your cats is that they are designed and intended to be enjoyed with your cats. Catios provide a space that both humans and cats can enjoy and gets both of you a little bit closer to nature. 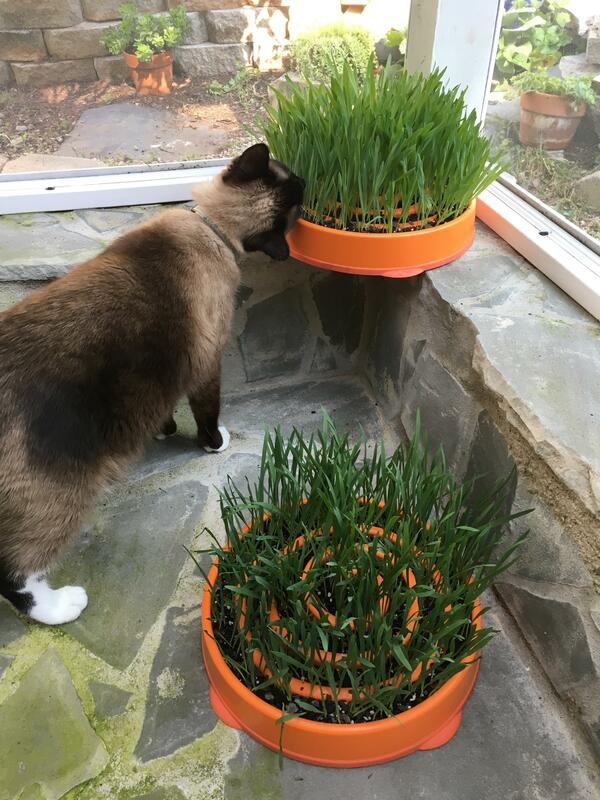 These “cat habitats” meet the needs for more mental and physical stimulation while simultaneously addressing wildlife concerns, feline safety concerns, and neighbors who may not want their gardens used as a litter box. It is the best of both worlds! View "Catio Album" on Facebook here. Catios can vary greatly and differ based on the space you have to work with and the creativity of the humans building it. 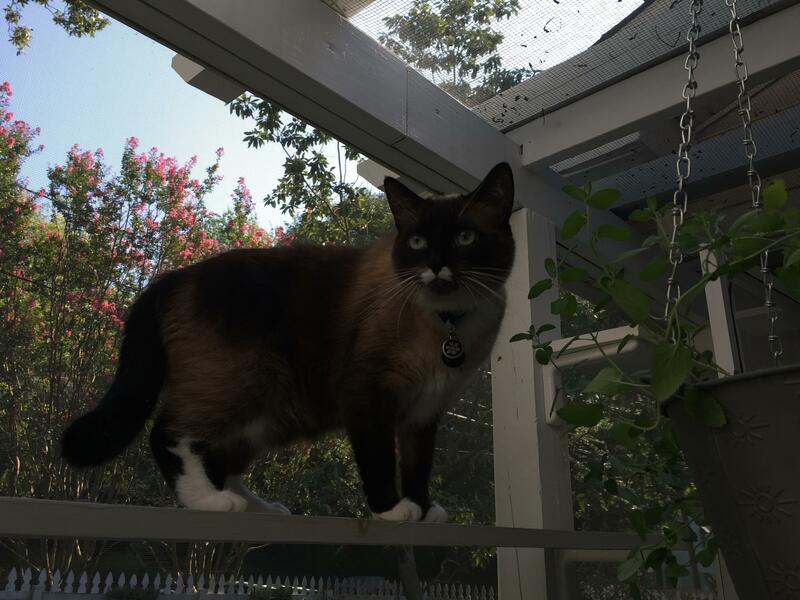 The important distinction between a screened porch and a catio is that catios are exposed to the elements so the cats enjoying the space get to experience the seasons and weather. 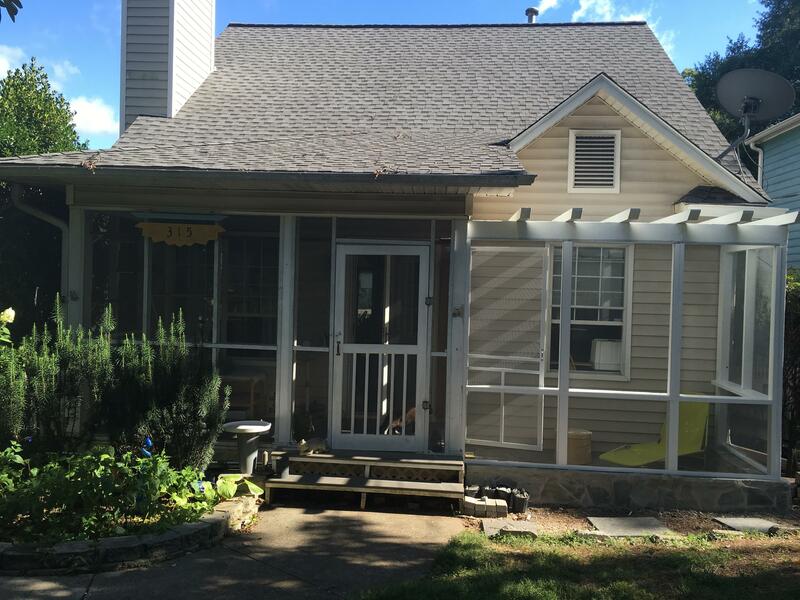 If a roof is created it is usually screened or finished with chicken wire or the like. If there is no roof and an open fenced area is created then cat fencing similar to the Purrfect Fence (purrfectfence.com) is used so that the cats cannot scale the fence. This type of fencing angles inward and is supple, providing cats with little leverage to propel themselves over it. 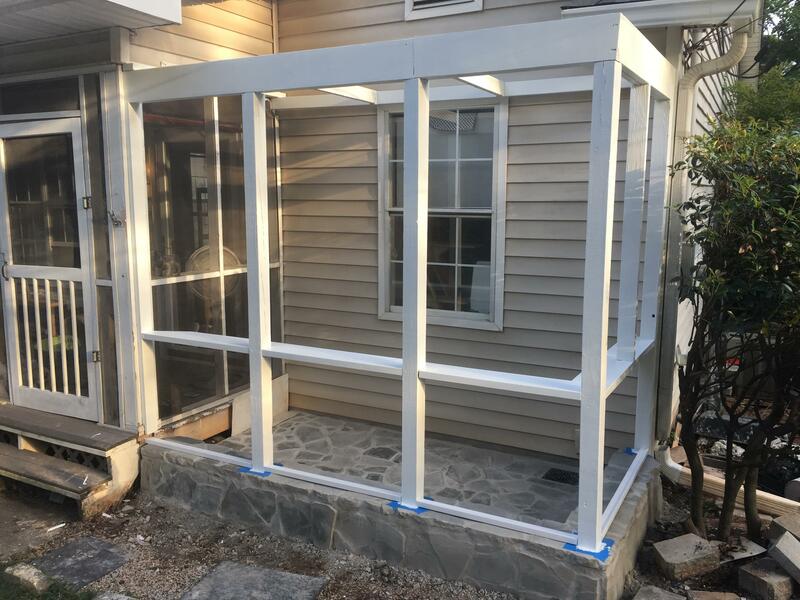 Your catio can be as simple as a chain link enclosure or a personalized, hand-built structure as complex as you choose. 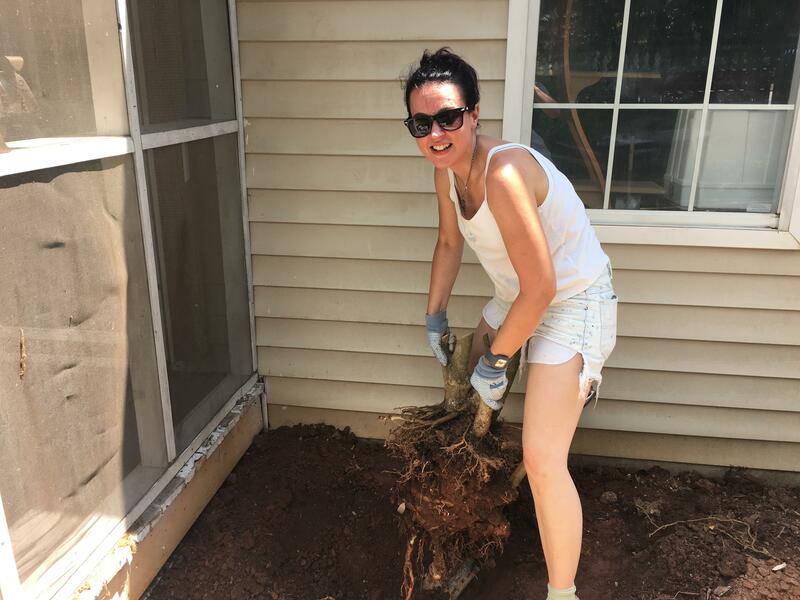 Removing root ball so we can lay the foundation. All graded and ready for stone! 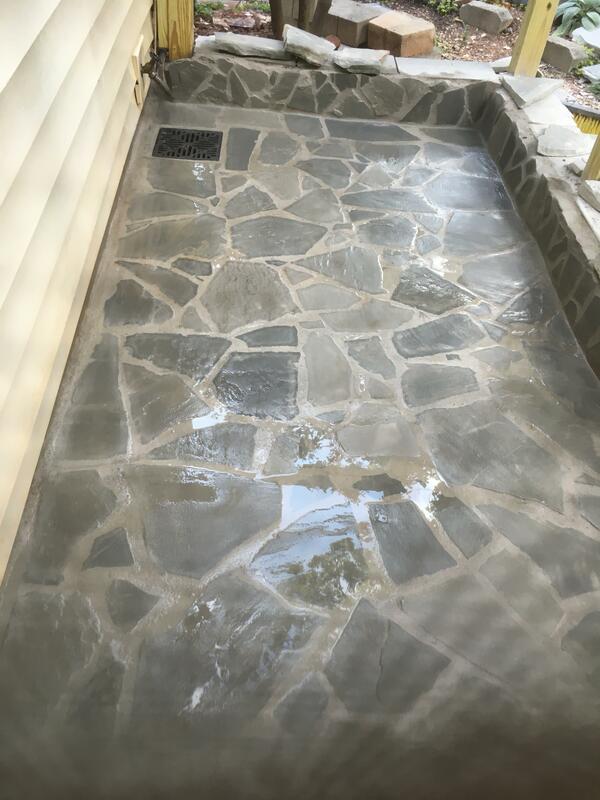 We chose a stone floor to minimize dirt mess & fleas. Catios generally have a natural “floor” but that can still encompass a wide variety of substrates. 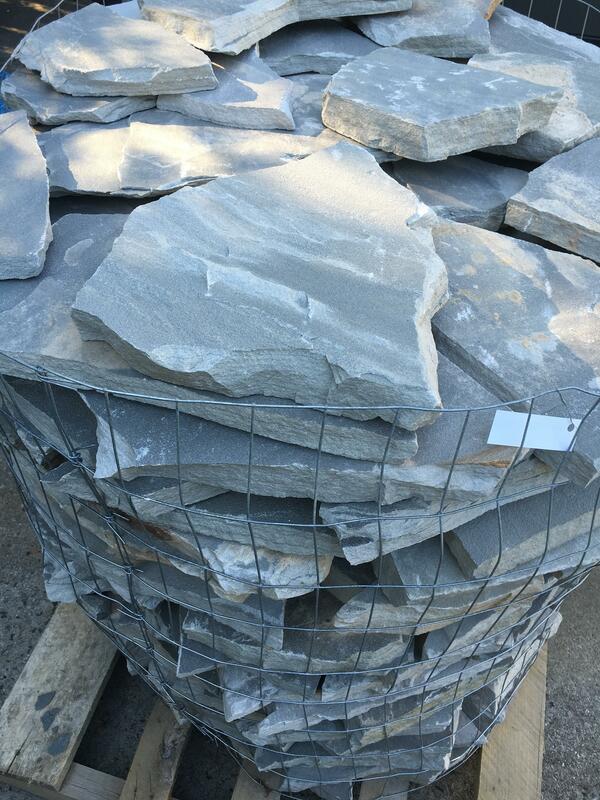 These substrate offerings are greatly dependent on the location of your catio. 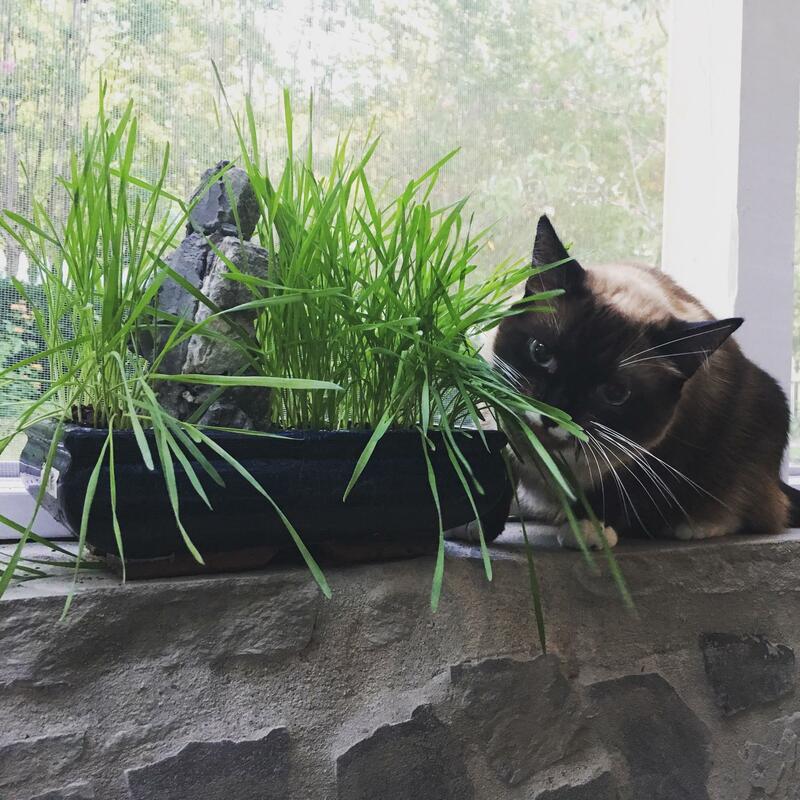 For instance, a lush bed of grass may not be feasible if your catio is in a shady space. Though it is highly recommended that if a sunny spot is available that at least part of the catio is in sun since cats are such worshipers of heat and sunbathing! 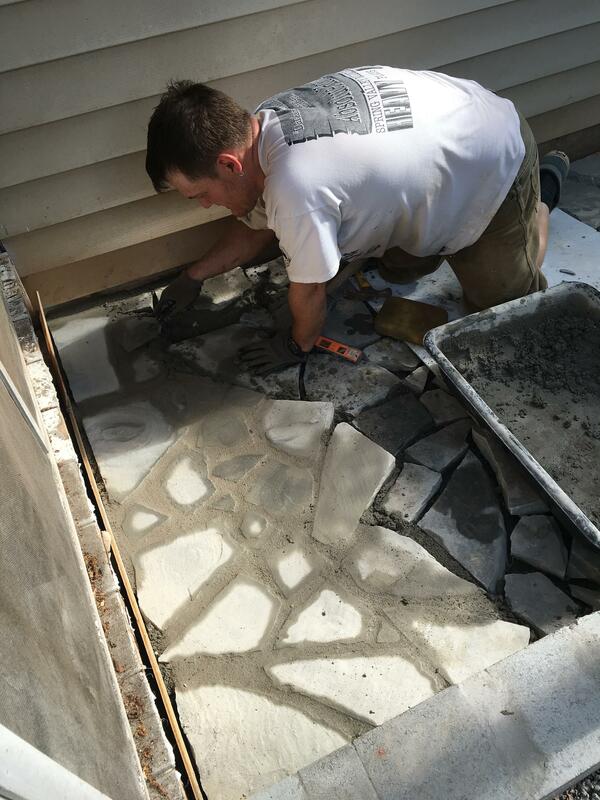 Flooring offerings include: grass, flagstone, mulch, gravel/loose stone, or even decking, etc. The goal of this whole set up is enrichment so if the space allows it would be ideal to offer as many different textures as possible. Some choose to have a small covered space with decking or stone and set up patio furniture, tables and chairs etc. 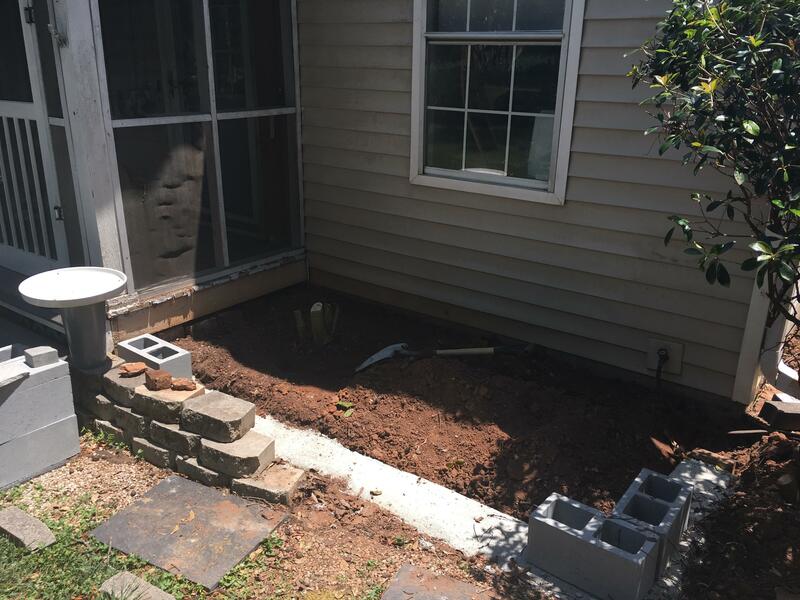 and then expand the area beyond to include a portion of the yard or garden, and that might be where the cat gets rained on but also gets grass and plant exposure. Jake working hard for his fur children. Finished product. 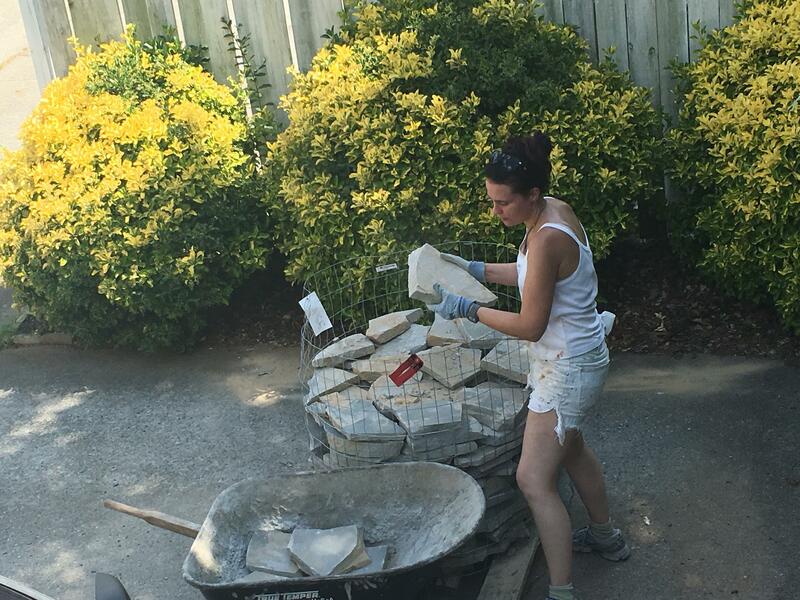 I moved all 2800lbs of stone myself! 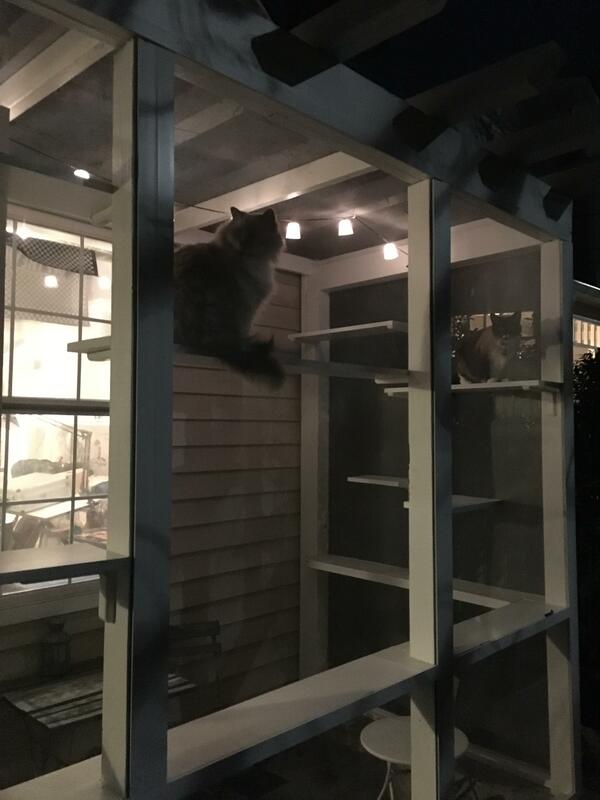 So how do they access the catio? Most human caregivers choose to install cat doors to allow their cats free access. 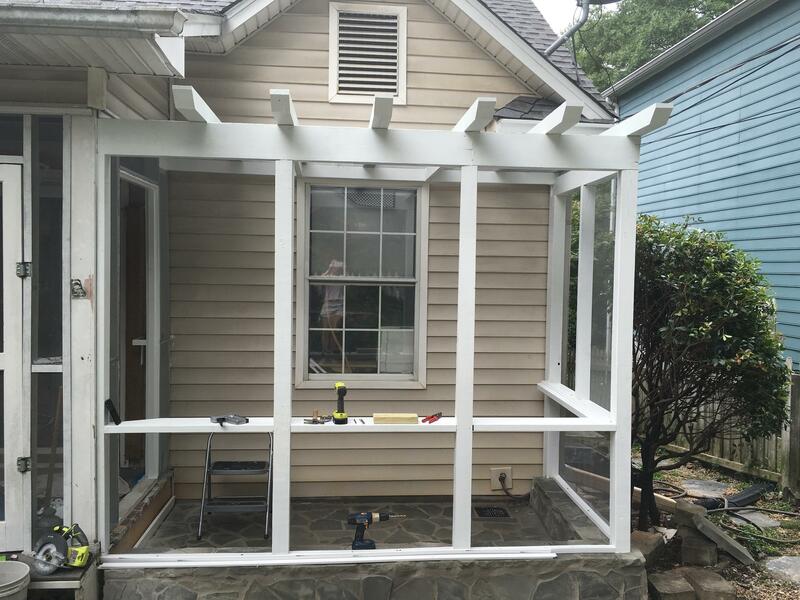 A creative alternative is to utilize the existing windows in your home that are currently in place. 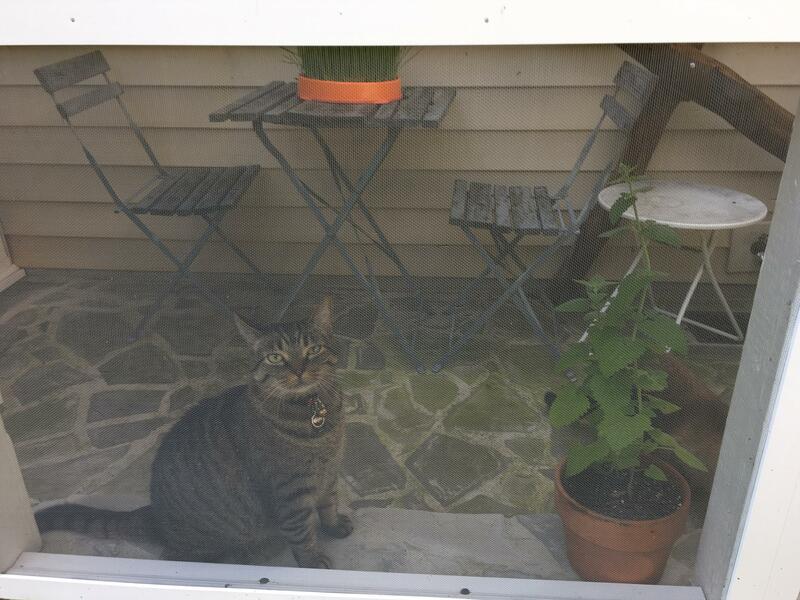 Simply remove the screen and allow the cats to jump out the window or walk out a sliding glass door onto their catio. The benefit to the latter is you allow them a wider entry and exit point than a typical cat door allows which can prove less threatening and lessen conflict in multiple cat households. Most cats can be trained to use cat doors, but some resist and an open window is an easy alternative choice. Whichever entry and exit point you choose ensure that dead ends are not created where cats can be trapped. 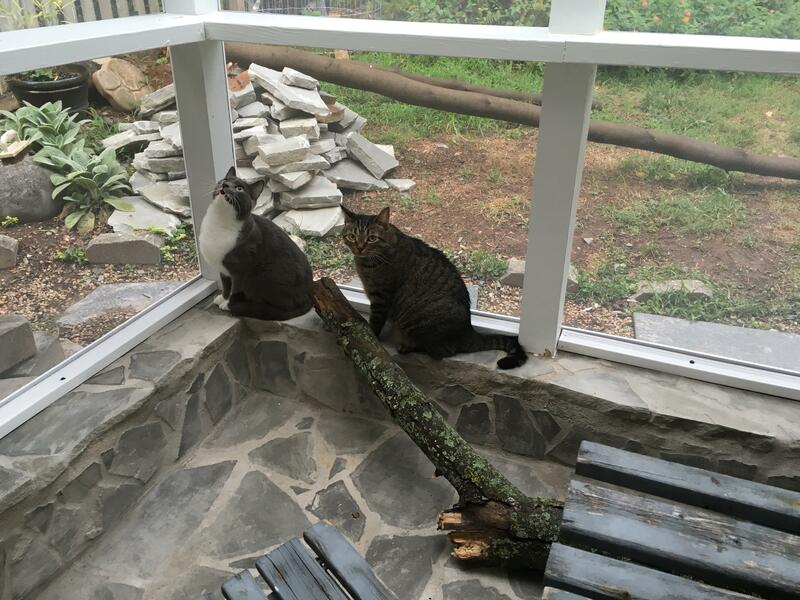 It is always advisable to have at least two entry points onto your catio so as to not create competition and conflict. Areas where the human caregiver must carry the cat out to the enclosure and place them in it, leaving them “locked up” and often unattended is not advisable and is not a catio, but rather is an enclosure. The cat should have the ability to control and come and go as they choose. 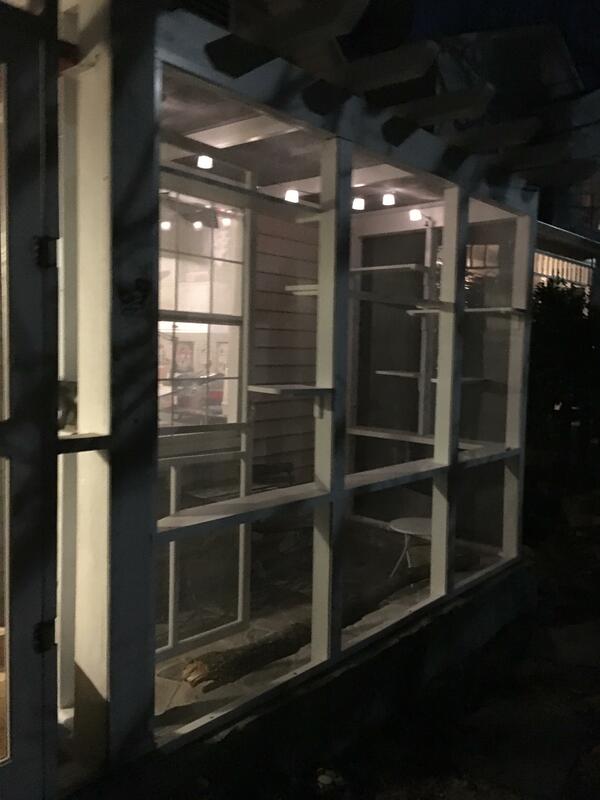 A catio is once again defined as a structure that humans and cats share and enjoy together and the former is really just a cage. 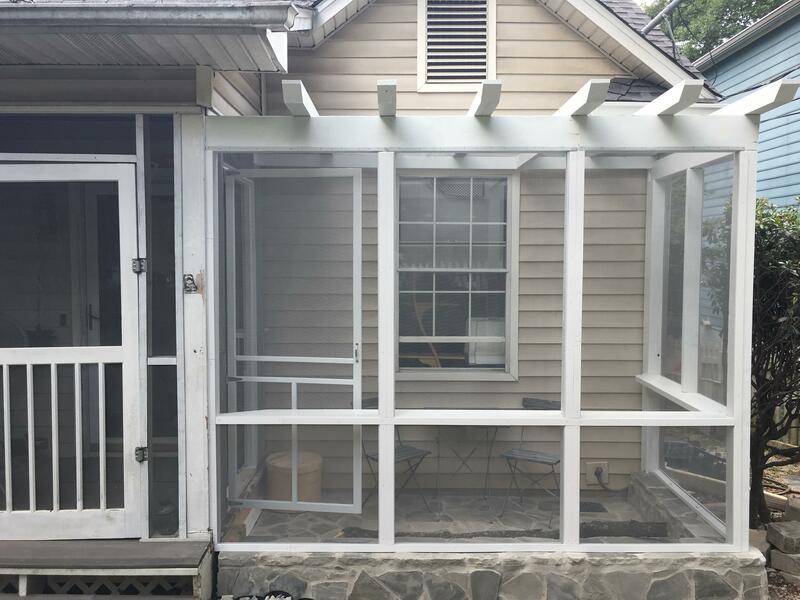 Our catio is accessible three different ways: window with screen removed in catio, window with screen in screened-in porch, and front door. Nice addition to the screen porch (left). 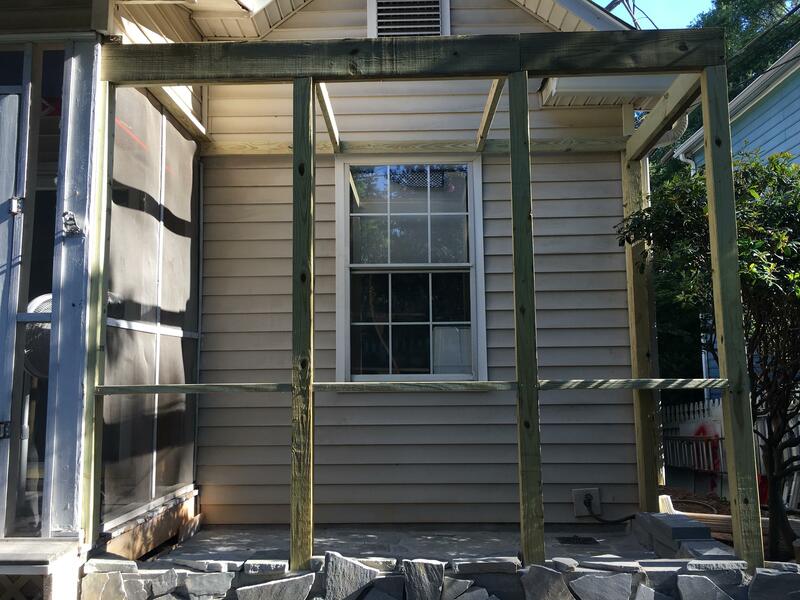 Open window, screen removed allows access. This is the perfect place to go hog wild with your enrichment offerings! Catios can be equipped with all kinds of fun features to encourage exploration and let your tiny tiger feel like they are living in the jungle or on the Serengeti; it’s all about how you to choose to “catify” it! 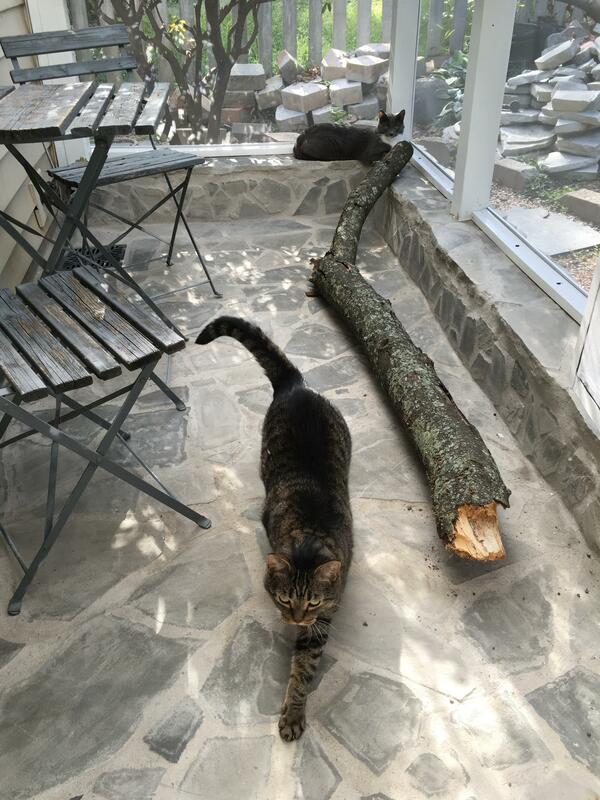 Your catio could even contain full-sized real trees should you choose, but on a more realistic and attainable scale, scavenge logs or large branches from fallen trees and they can serve as giant scratching posts that can allow your cat access to vertical space. 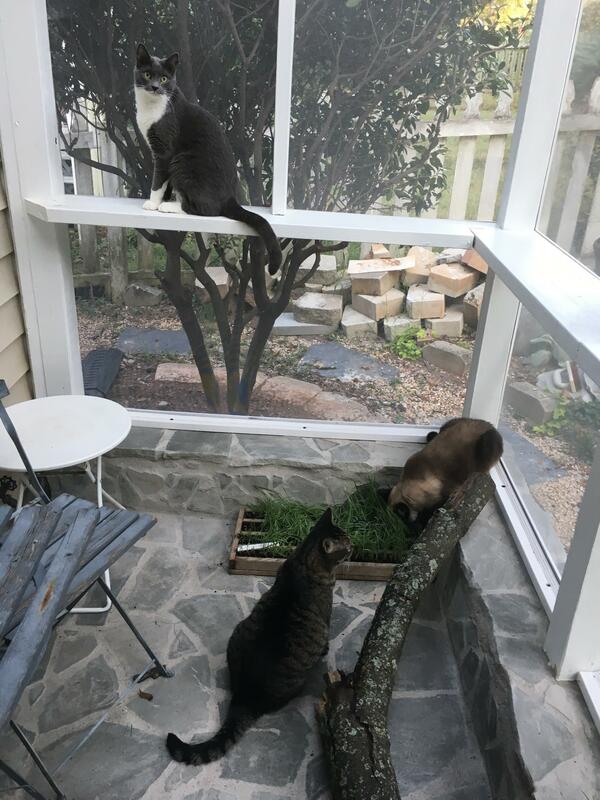 Catios are a great place to offer your cats the gift of height; no need for grass and sunshine to be the only feature you are offering here. Get them up high! 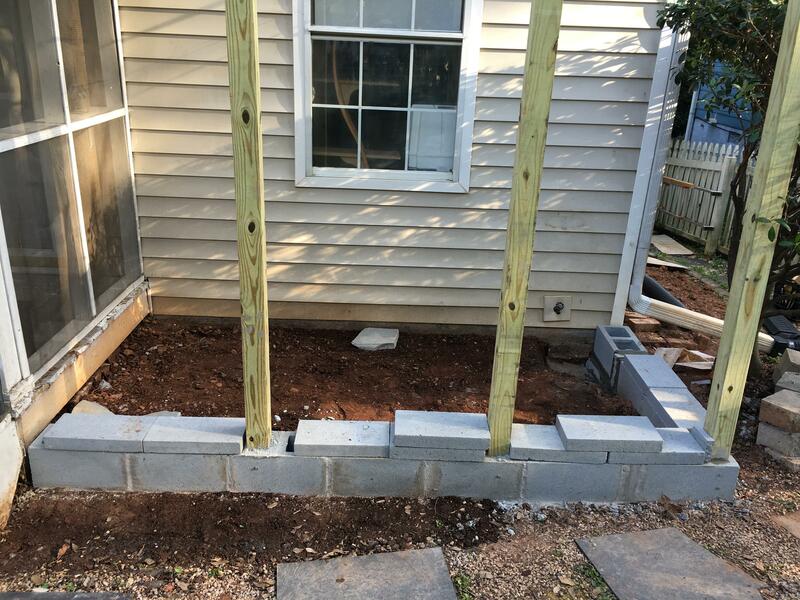 Most catios are built like screened porches but with an open screen roof, so build shelves or cat runs around the entire perimeter and use tall logs to grant them access to these runs. Hanging baskets with edible greens can be provided which offers a nice reward for climbing to the top of the space. 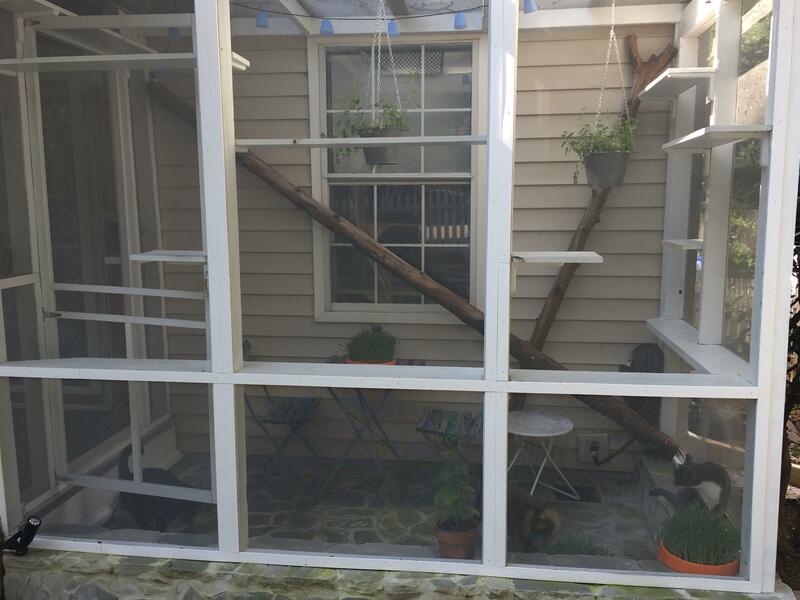 Just like with access to and from the catio be mindful of dead ends or vertical space shelves that go nowhere. Always make sure you are making a full circle and providing multiple exit and entry points if you have more than one cat. 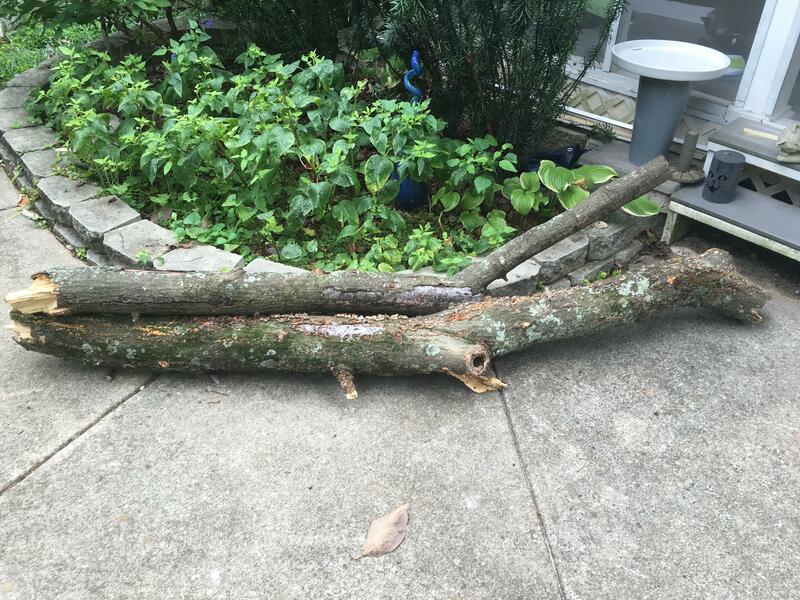 Jake, live action log foraging post storm! 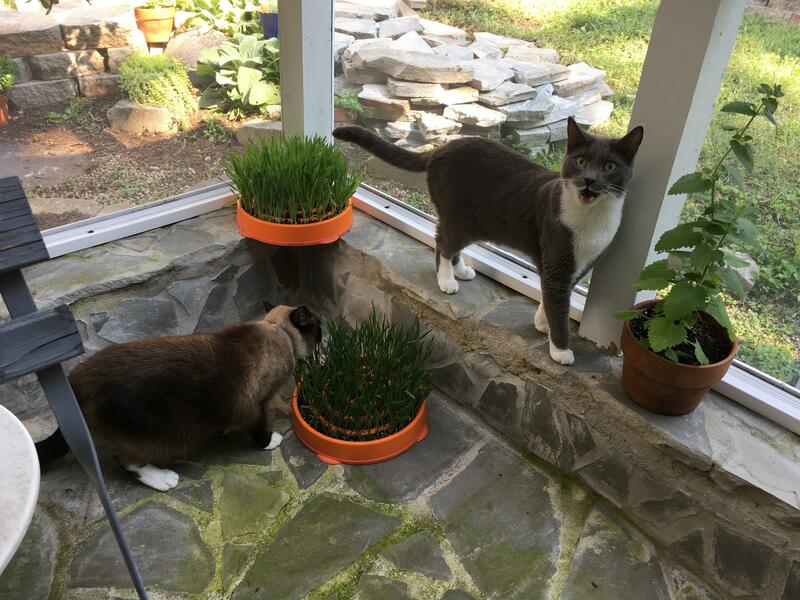 Catios are a fantastic opportunity to test your green thumb and grow wheat grass, barely, oat, rye, catnip, catmint, valerian and the like. The hanging baskets can be aesthetically pleasing an provide greenery up high but offering large patches of edible grasses on ground level is fun too. 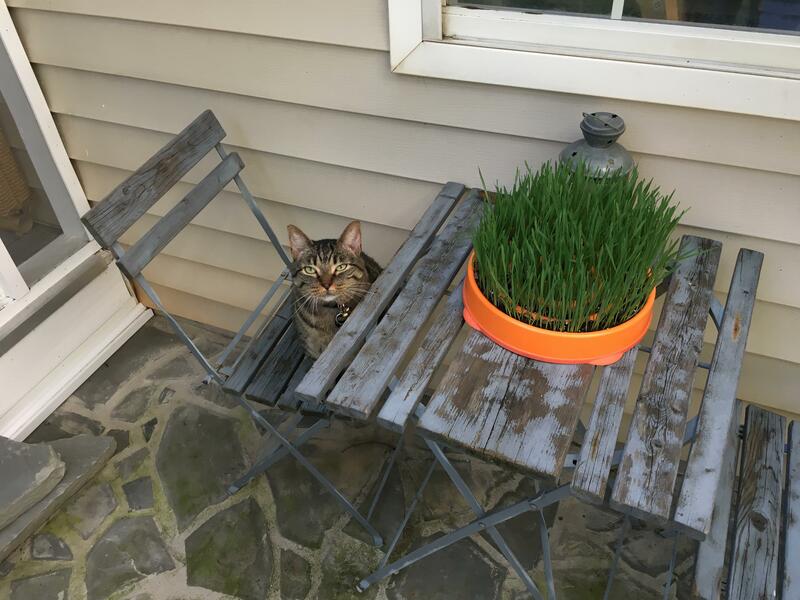 If you have chosen decking or a stone floor for your structure, growing larger patches of grass that your cat can plop down in is a lot of fun. Play with interactive toys in and around the grass to bring out the predator in your pampered house cat! Another great game is dropping some dry kibbles in the grass for a little foraging fun. 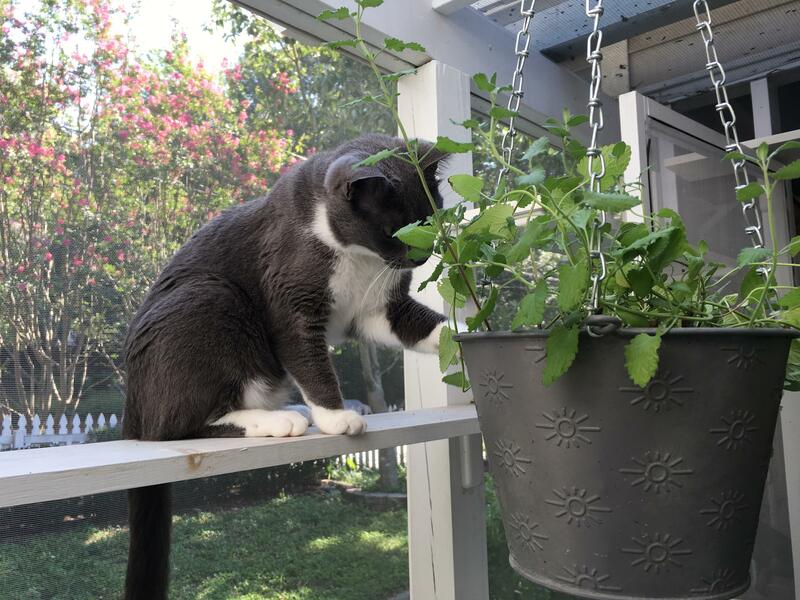 All kinds of feline friendly greens can be planted! 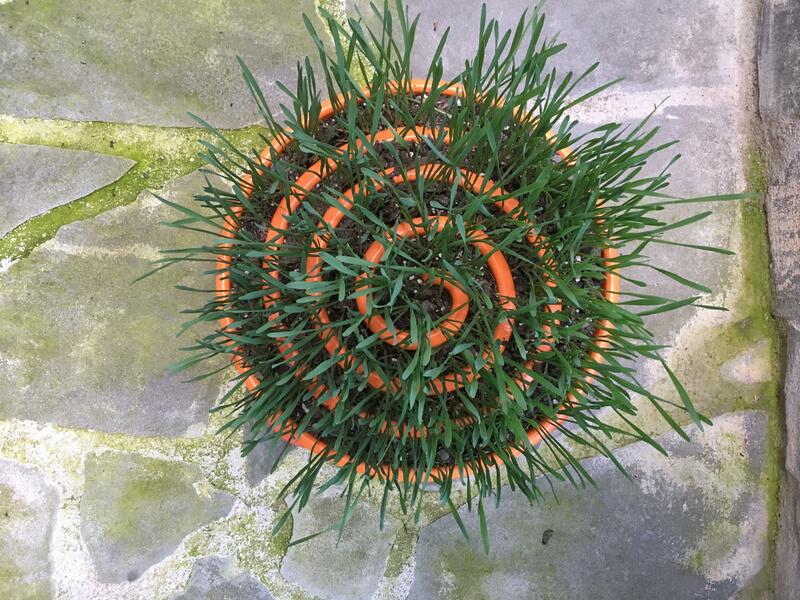 Canine stationary Slo Bowls used as planters! 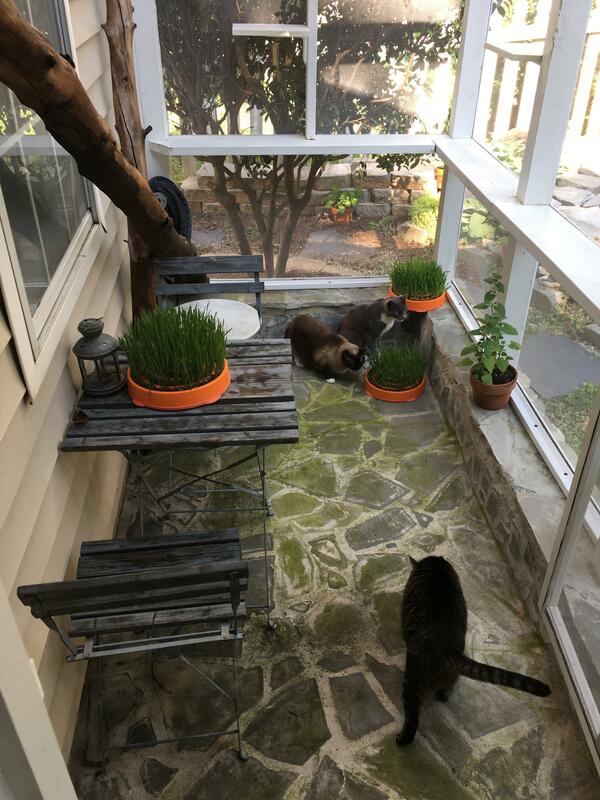 Placement of birdbaths and birdfeeders outside the catio creates “cat TV”, a welcomed addition to any outdoor space. 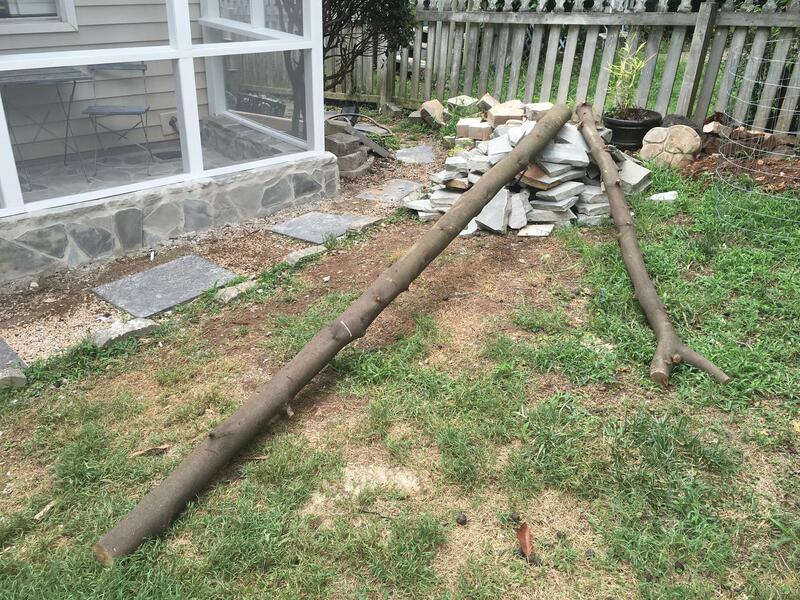 Some clients have been known to build fish/koi ponds, install fountains, and cat tunnels. The possibilities are endless and only limited by your creativity and ingenuity. While all cats should be on heartworm prevention, flea control and benefit from routine intestinal deworming, if their exposure is more than that of an indoor only cat than protection becomes even more important. 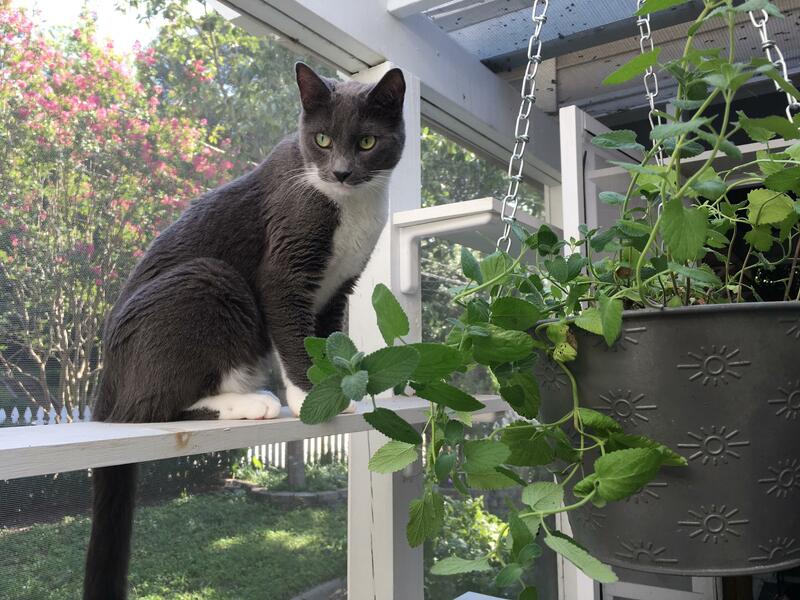 Cats can get all of the above mentioned critters living indoors, but are even more likely to suffer from them if they go outside or have access to a screened in porch or catio. Please ensure your cat is protected year round from internal and external parasites. 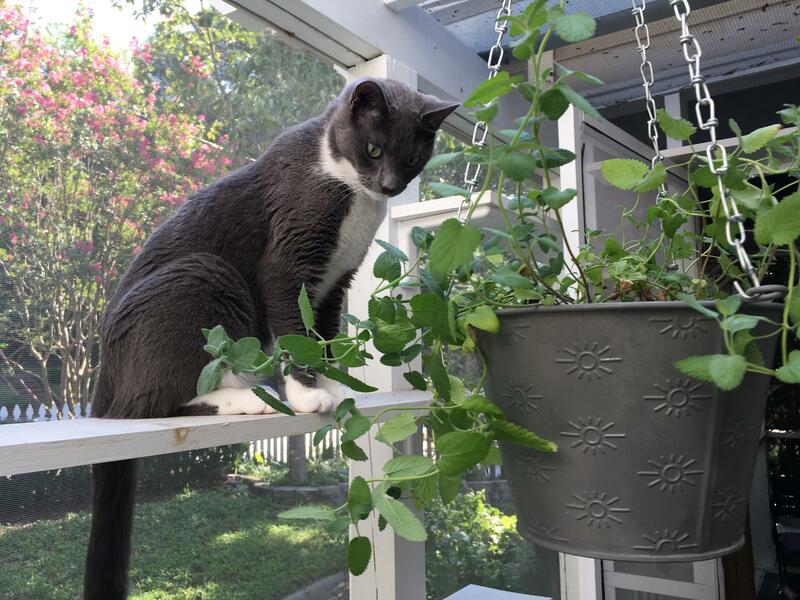 Soren enjoying fresh greens via vertical space. Highest point of vertical space, debating log decent. Notice the roof, they are exposed to the elements. 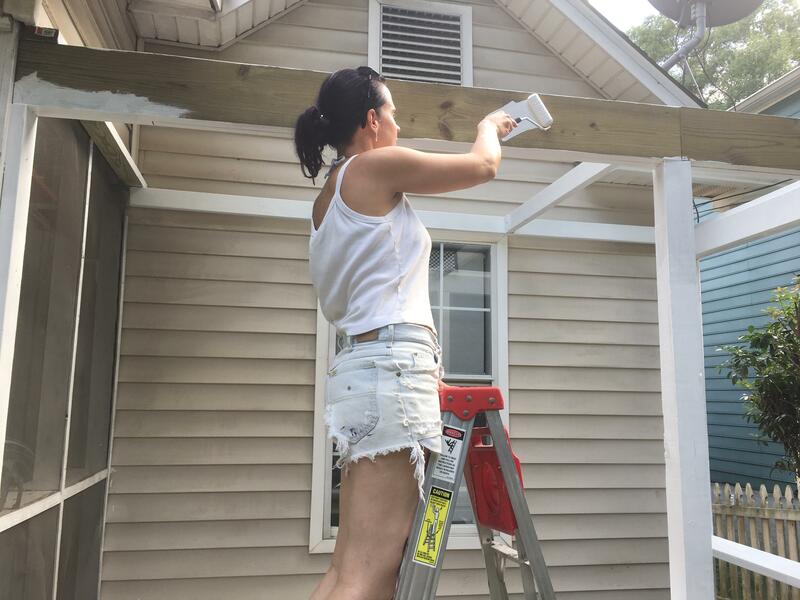 There is no right or wrong answer when building a catio. For many humans, it is a constant ongoing evolutionary process. Do not become paralyzed in the project trying to make it “perfect”. 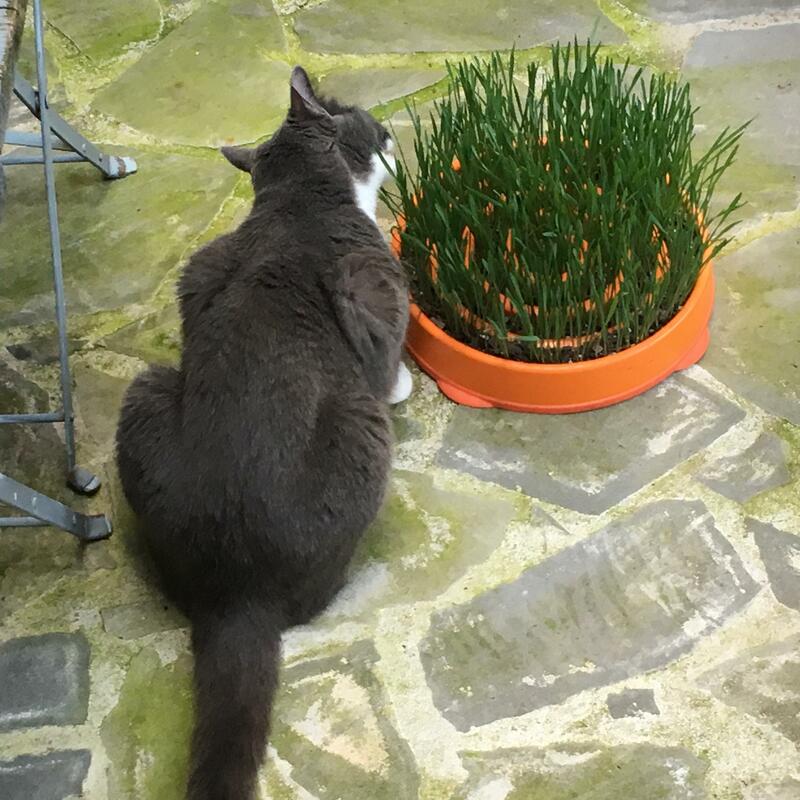 Your cat will be thrilled to have a fun new place to explore; it is ok if it is not decorated to a T with cat grass and vertical space from day one. 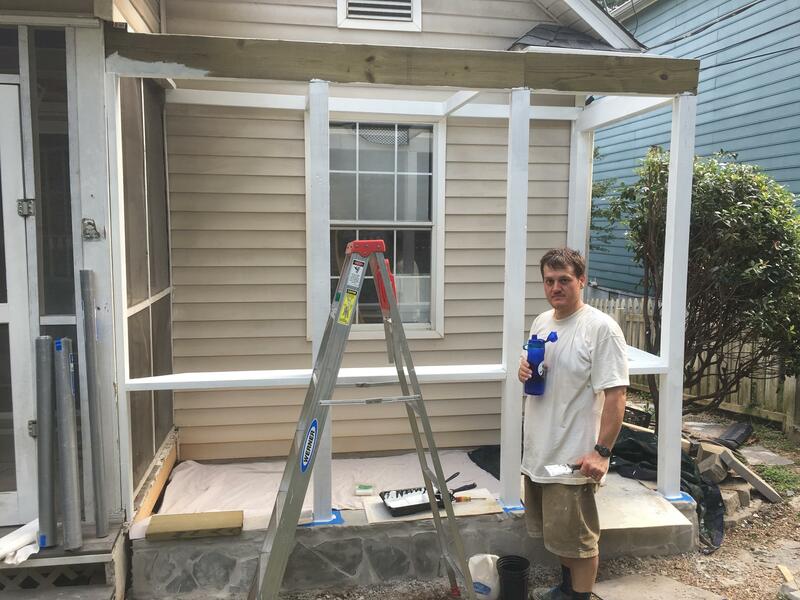 Your catio can be a constantly evolving project which will actually be even more fun for you and your cats, leaving new explorations on the horizon for all! Just have fun with it and get building! 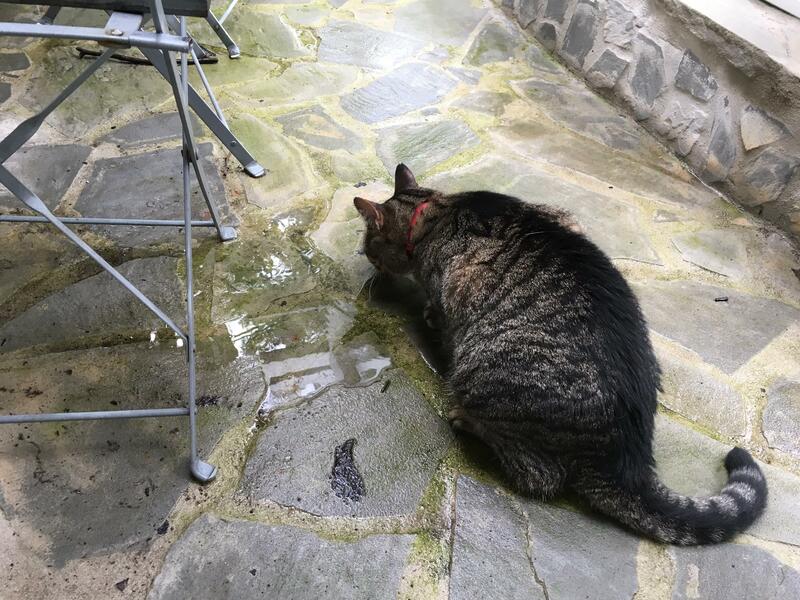 Drinking fresh rainwater from puddles! Fantastic!! This is a Hitch approved construction! 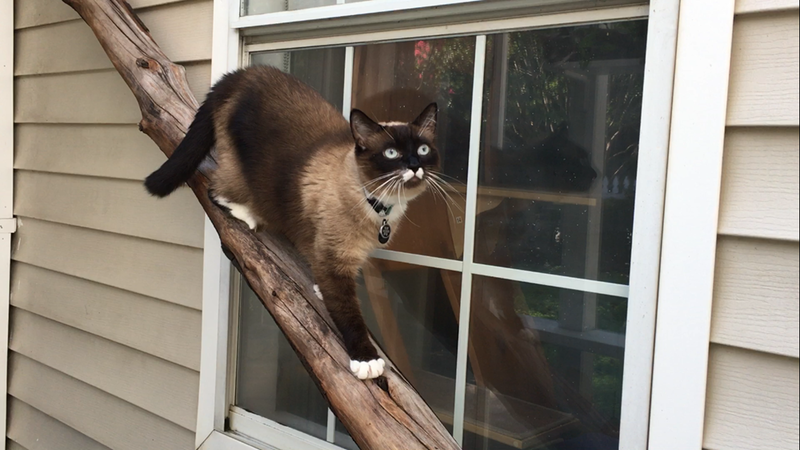 Watching a squirrel on the screen "roof" #Goodtimes. 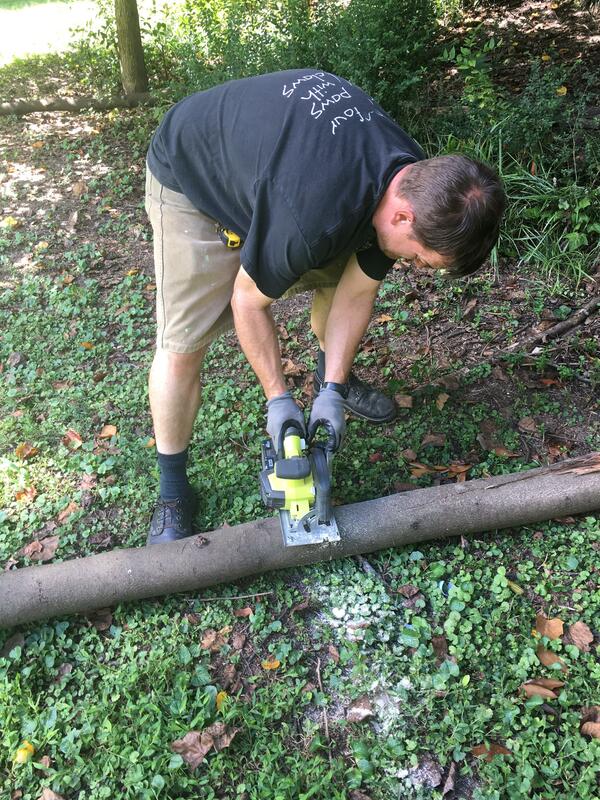 Climbing tree logs, the fun of the outdoors, yet SAFE! Soren's turn. This is not an activity for the senior citizens. Ready to be served at the "catio cat cafe"! Finished product complete with logs, vertical space, lights & hanging planters. Mood lighting. Great place to have a glass of wine or a beer with your cats.